Many people enjoy the freedom of the open road on a motorcycle. Some people ride their motorcycles on occasion as more of a hobby, while others ride their motorcycles as their primary source of transportation each and every day. Regardless, as motorcycle riders, we share the roads with many other vehicles of varying sizes. Sometimes accidents happen, and when they involve a motorcycle they can be especially devastating. 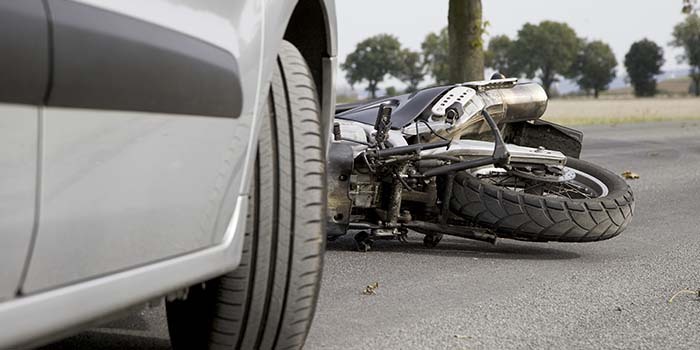 Motorcycle accidents can result in very serious injuries and even death. If you or a loved one have been involved in a motorcycle accident in Hilton Head, South Carolina, do not hesitate to contact and experienced Hilton Head Motorcycle Accident Lawyer. The Green Law Firm is prepared to fight for the compensation you deserve. Do not be discouraged by mounting medical bills, and lost wages. Do not be intimidated by the big insurance companies or other attorneys. Get an experienced Hilton Head Motorcycle Accident Lawyer, such as the Green Law Firm on your side. The Green Law Firm understands the pain and suffering that the injured person is going through, and they strive to be incredibly compassionate as they understand that a family can be impacted greatly by an unexpected tragedy such as a motorcycle accident. As mentioned above, a motorcycle accident can cause very serious injuries and even death, but the injuries can vary widely. Some of these injuries can result in a need for medical attention for a very long time into the future. Ongoing medical care can be very expensive, so do not be afraid to get an experienced Hilton Head Motorcycle Accident Lawyer to fight for the compensation your family needs to care for their injured loved one. We Are Here to Help! Even the most careful of motorcyclists can be involved in a motorcycle accident. If you were injured in a motorcycle accident and you believe you were not at fault you have a right to make a claim for compensation. Call the Green Law Firm to determine if you have a viable claim. The Green Law Firm is familiar with all aspect of litigation involving a motorcycle accident. You can expect there will be an investigation of the scene of the accident, an attempt to interview witnesses, and talking with insurance companies. Whether your ultimate decision is to settle or go to court, we are here to guide you through each of those steps. The Green Law Firm is prepared to passionately represent you throughout the many phases of your case that lie ahead.